Scotland is heading towards a referendum on independence. Five million Scots will have to decide if they want to say ‘goodbye’ to the United Kingdom or not. The debate about the advantages and disadvantages of full sovereignity for Scotland is getting sharper. There have been at least six generations of MacLeans in the tiny village of Butterstone. The music of Dougie MacLean has taken him far beyond, touring the world with his Scottish folk-songs. It has made him famous, and that and his charity work has brought him royal honours, too. Back home again from an Australian tour with a United States one to come, Dougie needs a break; some weeks getting back to his roots, back to Butterstone, back to Scotland. “People often ask me, you know, what makes the Scots maybe a bit different, and there is little bit of an edge to them, and I wonder if one of the reasons is that we never were kind of “romanized”… you know, this area here, this road here is actually the frontier where the Romans never got past here,” he says with a smile. Dougie MacLean is very much involved in the ongoing independence debate in Scotland. There will be a referendum soon. Independence from the United Kingdom, yes or no? That is the question. Out walking, he recounts his family story, and it becomes clear why he is so much in favour of full independence. His ancestors made a living as shepherds and farm labourers, dependent on the will of lairds and landlords. Dougie wants to make independent decisions. “I have always been a great champion of independence, not just national independence. But also independence in my own life. About 20 years ago I moved back to Scotland and set up my own record company. And I mean, when I grew up we felt very distant to Westminster and the political decisions that were happening. Independence is more about self-confidence and controlling your own mechanics or your own life and not anything controversial or agressive,” he maintains. In the capital Edinburgh we meet up with another Scottish star: Howie R. Nicholsby’s 21st Century Kilts leads the world in tailor-made designer tartan. Other kiltmakers import from China, but he keeps up the family tradition, sourcing locally. Yet Howie is very much against an independent Scotland. “As a small business I feel it’ll be very risky and very dangerous for companies my size going to an independent Scotland…and really, my business would be very strongly affected if we as a nation turned to Britain as a whole and said ‘We do not want to be part of you, we do not respect or see our economic future as a union.’,” he says. In Glasgow, Scotland’s biggest city John Docherty is an active member of the Scottish National Party. The SNP is a liberal, centre-left party, and won a landslide regional election victory last year. Fighting against poverty is the main driving force for my independence struggle, he says. “Where we are sitting right now, in the Scotia bar, the oldest bar in Glasgow, within just three or four miles from here, the male life expectency is 58 years old, that can’t be right in the 21st century,” says the Glasgow resident. The United Kingdom is composed of England, Wales, Northern Ireland and Scotland, the latter with a third of the land area yet with only eight percent of the UK population. Edinburgh and London are currently locked in a scrum over the pro and anti-independence arguments. A consultation process has until March, seeking the views of people in Scotland and elsewhere, to decide on WHEN a referendum should be held, WHATQUESTION should be asked exactly and WHO should be entitled to vote. The ‘what question?’ issue is especially thorny, as a sort of three-quarter measure, more than devolution but stopping short of full independence, or “Devo-Max”, is on the table. London says that is Scotland having its cake and eating it, and that it is a question of being part of the UK, or not. Let’s ask some tough guys from Stirling County Rugby Club: Are you for or against a fully independent State of Scotland? “That depends if we get to keep the oil or not. England and the rest of the United Kingdom want to tap the resources of oil,” says Stevie Swindell. “Definitely not going independent because it would be the downfall of the country. We will end up with the Euro! And there will be a similar situation to countries like Greece!” insists Daniel Jackson. “I would say yes. Definitely yes. I think it would give us the power to do what we want… have a bit of independent power rather than being told what to do from other nations, England or the United Kingdom in general,” says Stuart Edwards. Not far from Stirling lies another battlefield, Bannockburn, where a glorious Scots victory in 1314 ensured independence from London for several centuries. In 2014, Scotland celebrates the battle’s 700th anniversary. The SNP government wants to organise the independence referendum that autumn. Britain’s Conservative Prime Minister David Cameron wants the vote as early as possible. The Mayor of Stirling, the SNP’s Fergus Wood, insists that London government ignores local Scottish needs. “Actually I have had more understanding and sympathy and help from Brussels then I have from south of the border. A nation is only a nation if it has its control over its own destiny. We do not have that. 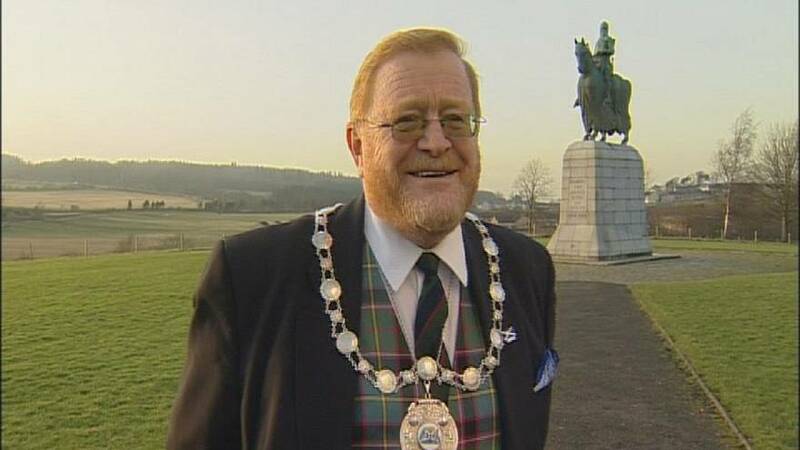 The Scots are very much Europeans, we have played our role in European history in the old days of two separate nations: while the English were fighting the French, the Dutch and the Spanish, we were doing business with them, and that’s the difference, and we want to get back to that,” he says. At Bannockburn High School euronews invited 16 and 17 year-olds to discuss the legal voting age. The SNP wants yongsters like Alasdair Keane to be able to vote in the independence referendum while the central government in London does not like this proposal. “If voting is introduced for the referendum for age of 16, it should be introduced for ALL elections. You can not just have it just for the referendum and not for all other elections. And just be careful that it is not just about to swing the vote into a certain way,” he says. Clare Heggie is convinced she is old enough to vote. “I believe that the voting age should be lowered to 16. It is long overdue, because we can pay taxes, we can fight for our country in the army, we can have children, we can have a marriage and we have the knowledge to decide what happens in our country and vote on it,” she says. “Actively allowing a wider age group in Scotland to vote will have a wider group of people interested in politics and issues that affect them in their everyday life. That would be good for Scotland, majorly,” suggests Roslyn Ivatt. “I agree with your point, the voting age should be 16. But we should be educated on the subject of the independence referendum more. Because even today, when you ask people about independence they have no idea about the consequences of becoming independent. I think if we were really to vote at 16, we should have more knowledge on the matter first,” says Lewis Thomson. Scotland’s remarkable landscape and its people inspired national poet Robert Burns. More than 200 years ago he worked the land and the language at Ellisland farm, reviving Scottish patriotic feelings through his poems and songs. Locals volunteer to maintain the Burns farm, and they have some quite strong opinions on the independence question. “We have had 300 years of Westminster rule. The Scottish people have been brainwashed for 300 years. We want our country back again. When they vote ‘No’ for this referendum, it would throw us back into the dark ages again,” says Volunteer Ronnie Cairns. “I regard the country, the United Kingdom as a primary family. The important issue for me is identity. I am a Scot within that family,” says Volunteer Tom McMenanay. “We want to be called Scotland, and the Scots themselves will decide their faith whether they will stay in the Union or if they will stay out of it. It will be the Scots that will do it,” says Curator Les Byers. The museum’s curator shows us the place where Burns wrote his poems, among them “Scots Wha Hae”, referring to the battle of Bannockburn and serving for centuries as an unofficial Scottish national anthem. If the ‘Yes’ vote prevails, the Scottish Nationalists want to get rid of British nuclear weapons and have full fiscal powers. But they want to keep the Queen. And the Pound Sterling, too. Back at Dougie MacLean’s music sets the agenda. Currently around a third to almost half of all Scots back full independence. But comparing today’s debate with yesterday’s society, Dougie MacLean is confident that independence day will come, sooner or later.